Those are probably the four best words to describe the A-Z Challenge. In April I undertook the challenge of writing 26 posts, both alphabetical and themed around college. I completed the challenge, so obviously I’m qualified to give you unsolicited advice about how to do it too. PREWRITE. You’ve heard it before, I know, but it makes a world of difference to plan. I scheduled about 2/3 of my posts ahead of time, which allowed me time to read others’ posts and play around with new A-Z friends on Twitter. VISIT. I read A LOT, though I wanted to read more. Being a minion meant I had a section of The List to check on periodically, which ensured I stayed on top of reading. The bloggers I met inspired me, and I learned a lot from their writing. TWEET. Participate in hashtag days, chat with other A-Zers in the #azchat, share posts that you really liked (and ones that you liked but didn’t know what to comment). I was super diligent about the latter for the first few days and then got bad at keeping up–but hey, something to work on for next year. DON’T CHANGE YOUR MAJOR. Calling your mom in crisis, meeting with academic advisors, and making spreadsheets to figure out how to graduate only distract from A-Z. This is my A-Z Challenge game face. Stats-wise, April was interesting. I should’ve taken screenshots before May started (whoops), but my analysis will fill in the gaps. My daily stats are interesting–I had relatively high numbers early on, mostly due to high general Challenge excitement/stamina and my own massive visiting and tweeting sprees. Yet unlike many people, that traffic remained fairly consistent. There are some dips and spikes, but I didn’t experience the substantial downward trend in visits that many had despite falling off the visiting in the middle (see #2 and #4 above). April 1 had almost 200 views, so imagine another bar there. What interested me most about the challenge was the level of views per visitor. I got more views overall–as I have with daily blogging before–but my views per visitor doubled, from roughly 2 to roughly 4 on average. People stuck around once they were here. My three best days were April 16, April 9, and April 1. I’m surprised that my best day was in the middle of the month, and the last few days of April are pretty high too. Note that 24 of the 30 days got over 100 views, which is much higher what I usually expect from daily traffic. April was my best month BY FAR, traffic-wise. Look at that spike. From a daily average of 60-70 views to 142 views. That’s double. I began to type “ignore May” (because it just started so the averages are misleading) but on second thought, don’t. Because something cool happened. This weekend I hosted an A-Z Challenge After Party (which, as far as I’m concerned, continues indefinitely, so if you’d like to participate but didn’t, go ahead). People consistently said they wished they’d visited more, so the party gave them a chance to get the highlights of the Challenge and meet more bloggers. Speaking of, I met so many amazing new friends through A-Z, and I really look forward to keeping in touch with them after the Challenge. For me, that’s what blogging is about–connections. I got a lot of positive feedback about my A-Z Challenge posts, so thank you to everyone who visited, left comments, and tweeted my posts. Plus, a HUGE SPECIAL SHOUTOUT to my guest bloggers during the Challenge (plus Rachel for her First Job Post-Graduation piece). I seriously have no idea what I would’ve written for those letters, and you ladies saved me. 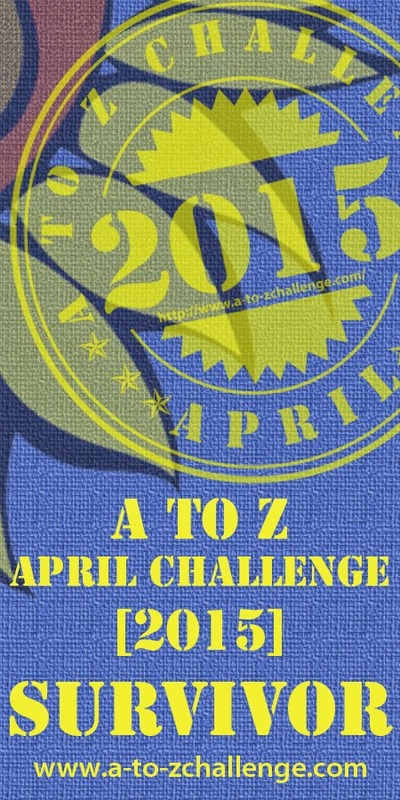 To the April A-Z Challenge Class of 2015: We did it! Very interesting, numbers here. You got about the same amount of views I did, but yours are more consistent and represent a larger increase. I’m thinking you might actually hang on to a higher percentage of yours than most of us will. Thanks for sharing. More data (ultimately) means better knowledge, and I do love to study some traffic. Good that you’ve experienced the Blog Party Effect now. That’s not surprising. It happened to me when I hosted a Weekend Coffee Share party to kick off my new-and-improved personal blog. (This was before we had the linkup or the hashtag). Basically, I invited coffee bloggers to drop links and promised to visit, pin, and tweet them all. Generated a huge spike — still my best day, I think — and convinced Diana she needed a linkup. You didn’t share follower count increase in yours (and neither did I) but I had over 200 people follow during April. Presumably that means they want to hang around after the Challenge. The Weekend Coffee Share linkup is hugely successful, and I’m thrilled that it’s there. I’ll be participating more regularly starting this month. Maybe 120 new followers, but that doesn’t mean much. 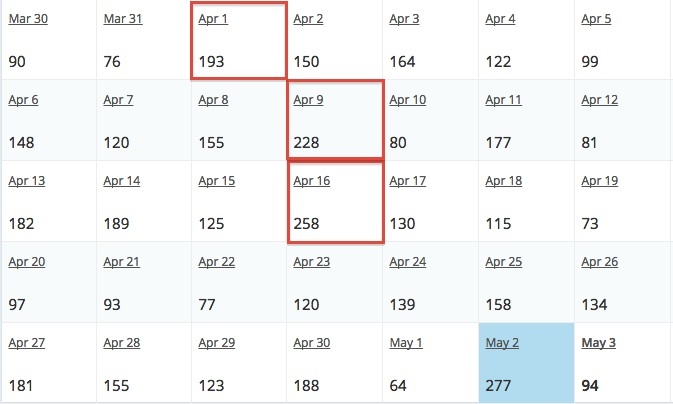 I loaded up my Twitter account into the WordPress discovery feature and followed 350 blogs the first week of April. Given the increase I saw and the trouble I had re-connecting the publicize feature, that technique is not worth the trouble, I don’t think. Maybe 50 or 60 new followers. I think I got more visits from Blogger bloggers than WordPress bloggers if I exclude people I already knew going into the challenge. That may explain it. I wish I knew how to find, read, and understand my stats. The only thing I know about is what my followers were before and after and how many comments I got daily. You’re the 2nd blog I’ve seen these charts….?? I did write all my posts ahead, wrote Sunday posts a few days ahead in order to have the whole month and continue the work of the blog. Captcha’s seemed to be a bigger problem this year than other years, still annoying, but it seems even if you have it disconnected (I’ve never ever used them), they still pop up sometimes on a whim? Captchas are frustrating and deter commenting!! Regarding the stats, the format that you’re seeing is from WordPress. If you’re on Blogger (which you appear to be) you won’t have the same charts, but there’s likely a way to track views. One thing I really missed on the challenge were the Twitter parties. Unfortunately, those happened while I was sleeping. Thanks Robin! I’m hoping that a lot of those new people stick around–according to the stats and the feedback in comments, they seemed to enjoy it! Your posts were awesome, part informative, often humorous and insightful. And you are a great Dragon Soldier. Good to see the outcomes. I hope some of your new readers will stick around. Yes! Analyzing stats and drawing conclusions fascinates me. I hope so too. I had a lot of great conversations in the comments. I was hoping to draw a younger crowd by writing about college (almost my entire audience–that I know about, anyway–are “real” adults), which I don’t think ended up happening, but a lot of those “real” adults had interesting comparisons to their own college experiences that I enjoyed hearing about regardless. Please, please, please don’t put me in the “real adult” category! Whoops–you’re there ;) You know how when you’re a really little kid you think that your teenage babysitters are SUPER old? Like you can’t imagine yourself EVER being that old. And then you become a teenager, and you’re really not that old at all. “Real adults” are pretty much anyone over 25 to me, although I’m sure when I reach that age I’ll feel differently. OMG, that is hilarious you think ‘real adults’ are anyone over 25. I remember thinking like that. Too funny. Thanks for sharing your stats. I didn’t think to do that, but my view rose and were steady throughout the month, and actually the last week of April was the best of all. I didn’t keep track of how many new followers I got. I have a question, and please do not laugh. How do you do those screen captures of your stats? I know I’ll feel differently when I reach that age, so I’m reveling in my current naivete :) I’m surprised that the last week was your best! Most people’s views were fizzling out by that point because readers were getting burnt out. I made a point of writing down my WP and Twitter followers before and after the challenge because I knew I’d be putting stats in this post (of course, I didn’t report the number in the actual post, but whatever). As for screenshots, I use Grab, which is a pre-installed app on my MacBook that allows you to capture a part or the whole screen. I don’t know how others do theirs, but I’m sure that Google does! I’m ancient. There’s no help for it. When you’re 25 you’ll wonder why you don’t have it “together” yet. Here’s a clue – none of us had it together then. Don’t feel bad! Congrats on a great month! 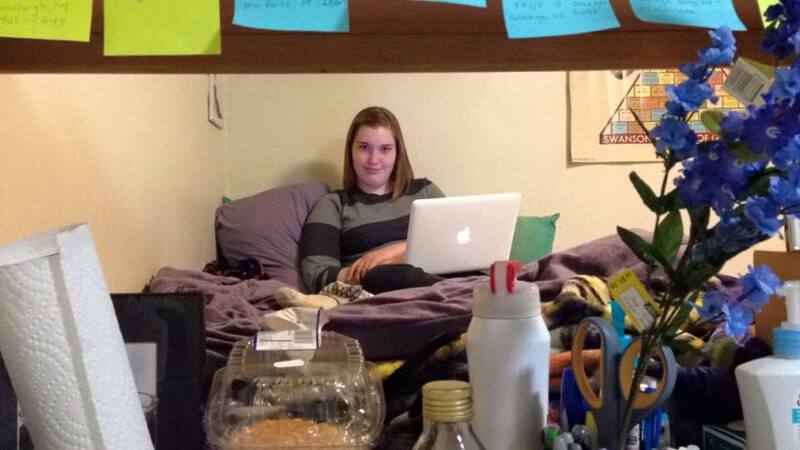 I loved the originality of your theme (but holy smokes… I didn’t realize you changed your major for REAL this month! Talk about stress! 😧) The after party was a FANTASTIC idea. I’m looking forward to the roadtrip, now. :) And also going back to only one post a week, haha. It was extremely stressful!! Thanks for all the comments during the challenge and for joining in the party! We did it! Congrats on the awesome stats, and generally for doing such a great job with A to Z! That’s quite hectic that you actually changed majors during A to Z – well done for making it look so smooth despite what was going on in the background! Hope all that’s sorted now? What’s the new major? Thanks for stopping by, Lisa! My finals have been going okay but I still have a few to get through. Finding your blog through your reflection, which I appreciated your sharing. I too checked my stats across my social media and commented in my reflection. I know the experience is more than numbers, but for reasons I wrote about, it gives you a good idea what might need rethinking. Agreed with your points. Congrats on finishing. I wouldn’t miss it. Hope you feel the same. I loved doing the Challenge, it was great fun. Thanks for stopping by–I’ll go check out your reflection! Thanks for co-hosting! Congrats on another successful year! Looking forward to next year! See you on the Road Trip! Thank you! It’s definitely tough but it’s really fun–if you prep early you could totally do it! Hmm, could mean that people had a hard time commenting! Loving your theme :) I think it’s really interesting seeing what everyone chose for their themes! Hello Debbie, thanks for visiting!